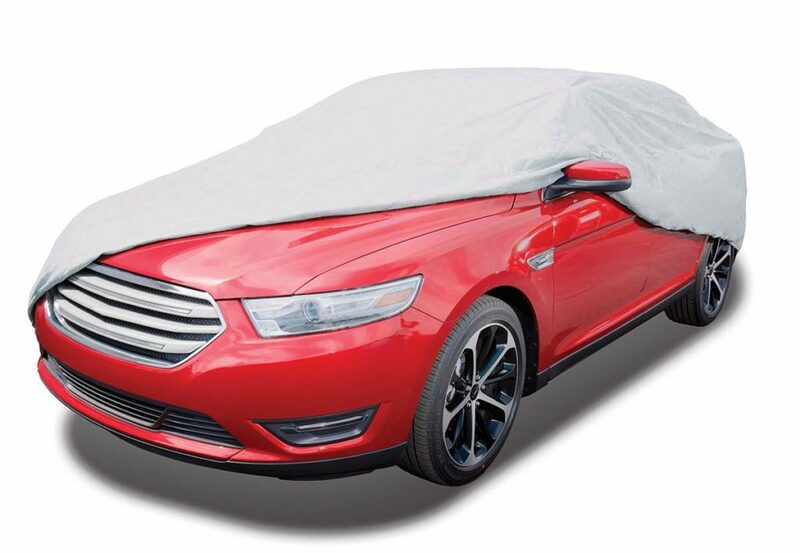 You’re likely familiar with Rust-Oleum protective waterproof paint products, but Tremclad, the maker of Rust-Oleum, also has a line of car covers. The Rust-Oleum 5L is so named because it uses five layers of material bonded together for protection. Along with three layers of breathable polypropylene on the outside, there’s a special 100-percent waterproof membrane plus a final fleece layer to prevent paint scratches. Tie-down straps, buckles and grommets are also included, as is a seven-year warranty. The Rust-Oleum 5L covers are available in five different sizes and with prices in the $150 range. Order online through the distributor, Empire Covers (www.empirecovers.com).